Listed below are the Articles of Impeachment. 8. Support of an inept and incompetent attorney general who has failed to prosecute voter intimidation cases (New Black Panther Party), initiated a dangerous gun-smuggling program (Operation Fast and Furious) – which resulted in deaths to one of our own law enforcement agents. Obama allowed Operation Fast and Furious to occur, which allowed hundreds of Mexican nationals and Border Agent Brian Terry to be murdered with illegal arms given out by the ATF and DOJ. 13.Taking on the Supreme Court’s power of judicial review with a preemptive striking against justices who might contemplate an unfavorable ruling on ObamaCare. 41. Obama and Secretary of State Clinton’s efforts to bring the US under the UN’s Small Arms Treaty are direct violations of the Second Amendment of the US Constitution. 48. Obama and Secretary of State Clinton misappropriated, er, used $23 million in US taxpayer funds to help Obama’s homeland of Kenya move to a communist nation where the freedom of speech, private property rights, and other rights are subservient to “social justice”. This includes the fact that the Kenyan constitution adopted Sharia Law, which violates the basic human rights of women. 100. The Sequester is actually a plot by Obama to cut defense spending and transfer money to “ACORN-like” groups that would help elect Democratic candidates. 107. Obama and Holder secretly and illegally wiretapped and snooped on American’s Cell Phones, E Mails in Covert Prism Project. 110. The Obama Regime hosting Islamic Terrorist Sheikh Abdulla bin Bayyah at the White House. 113. Obama supplying hundreds of armored cars to to Listed Terrorist Organization Hezbollah. 114. The Obama Regime deliberately leaked Classified Information about our Ally Israel, secretly attacking the Syrian Port Latakia. 115. Obama engaging in Evil Race Baiting over the Trayon Affair, fanning the Flame sof Racism, and trying to provoke a Second American Civil War. the regime of Syrian President Bashar Assad. 122. U.S. Army won’t suspend contracts with Al Qaeda-tied companies, citing “due process rights” http://www.jihadwatch.org/2013/08/in-other-words-they-may.html … TREASON! TREASON! GET IT. 126. #OBAMA #DHS #NAPOLITANO SINCE 2009 RELEASED 8000 CRIMINAL CONVICTED ILLEGALS INTO OUR POPULATION #IMPEACHABLE OFFENSE!! 127. The Obama Regime deliberately engineered the Government Shutdown to inflict Pain, Grief and Distress on Americans, by shutting War Memorials, Parks, Grand Canyon, Mount Rushmore, the Atlantic Ocean, and causing Sanctions to be eased on our Enemy Iran, which will enable them to get Nukes. 128. Obama enabled Nancy Pelosi to stage an immigration rally that happened in an otherwise closed NATIONAL Mall Obama enabled an Immigration rally that reflects his agenda (he benefits) to occur on National property, but he restricts the use of national property for general purposes or purposes that oppose his agenda. to fellow Americans. 129 Obama’s Illegal Executive Order – E.O.13575 – Establishment of the White House Rural Council: This E.O. provides for over 25 federal departments & agencies to run every aspect of rural life. 131. Obama by his actions says he is an agent of a foreign power working against the United States. He is a domestic enemy of the United States. 136. Obama is waging war on Christians in Syria, Egypt and now in Kenya. He is waging war against Christians world wide.He is a threat to the faith. He is arming the enemies of Christianity who are murdering unarmed woman and children. His actions are bringing instability to the world. 136. Obama through insurrection is working hard to overthrow the government of the United States. Obama is trying to find an excuse to declare a national emergency to place the USA under Martial law. 144. Obama’s Dirty Syrian Deal with the Russians, and ignoring the Genocide of 120,000+ Syrians. 145. Obama’s Dirty Geneva Deal with Iran that allows the Mullahs to become Nuclear Armed, and places our greatest Ally in the Middle East, Israel in Mortal Peril. 146. Obama’s secret back door negotiations with Enemy Terrorist Group Hezbollah. the tax collectors against conservative fund raising. video. This was also used to throw an election. Congress, unions, himself, his family and his administration. 153. Barack kills Americans overseas via drone–without due process. stories that aren’t flattering to him or his regime. the USA or our allies. face a gap in insurance coverage, but will be in violation of the Obamacare law. 159. Without Congressional Approval Obama has aligned America with Iran, Syria and Russia in Middle East Wars. 160. Without Congressional Approval Obama has sent American troops and military hardware to Africa. Obama sent U.S. troops to Uganda, Congo, South Sudan and the Central African Republic. 161. Obama is Out of Control. He has got America consorting with its sworn enemies. This is Treason. 162. Nominated a six-time tax cheater to head the government agency that enforces the tax laws. Obama nominated Timothy Geithner, a repeat tax cheater, to head the government agency that enforces the tax laws. 163. Avoided prosecution of Wall. St criminals. Although Obama had promised to prosecute Wall St. criminals, during his entire first term, his administration did not file any criminal charges against any of the top financial executives. 165. Lied about putting health care negotiations on C-SPAN Although Obama had made a campaign promise to have all of the health care reform negotiations broadcast on C-SPAN, he broke that promise after he was elected. 167. Illegally gave Obamacare exemptions to unions that supported the passage of Obamacare Obama gave some organizations an exemption from some of the requirements of Obamacare. Many of these organizations were unions that had supported the passage of Obamacare, but now wanted exemptions from the very same law that they wanted to force everyone else to obey. This reveals an extreme level of hypocrisy among many of the supporters of Obamacare. Obama has issued various executive orders which are unlawful because they are not authorized by the Constitution or by (constitutional) Acts of Congress. Here are two executive orders which are particularly pernicious because they undermine our foundational Principle of “Federalism”, and have as their object the “improper consolidation of the States into one … republic. 172. Threatened internet service providers with contempt of court if they did not install surveillance software. n August 2013, it was reported that the Obama administration had pressured internet service providers to install surveillance software, so that it could monitor internet traffic without a warrant. Internet service providers who did not cave in to this pressure were threatened by the Obama administration with contempt of court. This violated the Constitution’s ban on warrantless searches. In addition, the executive branch does not have the legal authority to declare contempt of court, as this power is reserved exclusively for the judicial branch. In August 2013, it was reported that the Obama administration had pressured internet service providers to install surveillance software, so that it could monitor internet traffic without a warrant. Internet service providers who did not cave in to this pressure were threatened by the Obama administration with contempt of court. This violated the Constitution’s ban on warrantless searches. In addition, the executive branch does not have the legal authority to declare contempt of court, as this power is reserved exclusively for the judicial branch. 174. Former Defense Secretary Bob Gates says Obama never had confidence that we could prevail in Afghanistan, but kept that war going anyway. Former Defense Secretary Bob Gates says he heard Hilary R Clinton tell Obama she opposed the Iraq surge bz of Iowa primary political reasons. Obama said, me too. So they both put troops in harm’s way for their own political gains! They both should be prosecuted for treason. 176. Obama unilaterally raising Federal Minimum wage by Executive Decree circumventing Congress once more. 177. The Obama Regime interfering and meddling in Russian Affairs in the Ukraine without Congressional Approval. 180. Obama is using the #EPA to circumvent Congress and enact job-killing regulations that will increase the costs of #electricity. If replenishing the enemy w/high valued assets during hostilities isn’t a High Crime, what is? a) Obama broke the law requiring 30 days notification to Congress. c) Obama has completely misrepresented the situation to the American people and attempted to deceive us – a high misdemeanor for an individual in a unique position of public trust. 183. The Obama administration has virtually thrown open the southern border of our country. They are making minimal efforts, if any, to guard against illegal immigration and criminal activity. Border Patrol agent’s hands have been tied, and states are having to defend the border by themselves. They have even been advertising to the various central American countries, letting their populations know that they are welcome in America, telling them about food stamps, health care, and other benefits, like a future path to citizenship for them and their whole extended families. 187. Obama was criminally negligent by not stopping flights from Ebola countries in West Africa, and compounded this treasonous and criminal behavior, by sending American Forces deliberately ” Into Harm’s Way ” into these disease stricken countries. 188. Obama passing Amnesty by Executive Decree and overiding Congress once more. 190. Obama engineered a Fake Iran Deal with the Mullahs in Iran, which jeopardizes the safety of Israel, Gulf States, and the entire World. 191. At the UN, the Obama Regime colluded with our enemies and other foreign sovereigns to deprive the American people – through their elected representatives – of the power to determine what obligations they will accept under international law. The Obama administration has taken the position that Russia, China, and, yes, Iran, have a vote on our national security, but we do not. And in this betrayal, Congress has, at best, been a witless aider and abettor. 191.Senator calls for full investigation after shadow immigration system run by the Obama Regime is unearthed bit.ly/1xLugvU – issued 5.5 million work permits to non-citizens since 2009 – over and above the 5 million green cards and 3.5 million guest worker permits issued by Congress. 197. Obama Admin. misled Fed. Court & issued thousands of amnesty documents illegally. Time for Contempt. The result is a flood of thousands upon thousands of illegal immigrants flowing across our border, mostly unaccompanied children, because they know they won’t be sent back home. It has turned into a real humanitarian crisis. In the meantime, while Obama encourages more illegal immigration and releases criminal illegal immigrants onto our streets instead of deporting them, he leaves Marine Sgt. Andrew Tahmooressi rotting in a Mexican prison. Many of these illegal immigrants are carrying highly contagious and virulent diseases like Tuberculosis TB, Smallpox, Whooping Cough, Scabies, Dysentery, Cholera, and Plague into America being bussed and flown directly into Murietta and San Diego, California. Former top federal prosecutor and best-selling author Andrew McCarthy has a new book coming out in June that makes the political case for impeaching President Obama. The former prosecutor writes under the premise that impeachment is primarily a “political remedy,” and Congress will not move unless the American people demand it. The selective targeting of political opponents for harassment and abuse by the Internal Revenue Service, while restricting freedom of speech and conscience. McCarthy, former Assistant U.S. Attorney for the Southern District of New York, is best known for leading the prosecution against the so-called “blind sheikh,” Sheikh Omar Abdel Rahman, along with 11 others in the 1995 terrorism case stemming from the first World Trade Center bombing and additional planned attacks. It’s time to invoke the 25th Amendment, declare Obama unfit and remove him from office. In a primary debate against Hillary Clinton in 2008, Obama said he would never force people to buy health insurance, since those without it couldn’t afford to buy it. Less than two years later, he rammed through ObamaCare/ACA, which does indeed force people to buy health insurance. During the 2008 campaign, Obama repeatedly promised that if he was elected, “No family making less than $250,000 will see any form of tax increase.” This promise was broken over and over again once he was elected. Barack Obama is no longer a “lawyer”. He surrendered his license back in 2008 in order to escape charges he lied on his bar application. A “Voluntary Surrender” is something you do when you have been accused of something, and you “voluntarily surrender” your license before the state suspends you. Michelle Obama “voluntarily surrendered” her law license in 1993. after a Federal Judge gave her the choice between surrendering her license or standing trial for Insurance fraud. Barack Obama was not a Constitutional Law Professor at the University of Chicago. In 2008 Obama vowed if elected to increase security along the U.S.-Mexican border–and then in 2010 stopped construction of a “virtual fence” on the border and re-routed money earmarked for border security to other projects. Before he was president, Obama staunchly opposed raising the national debt limit–but once elected, he insisted that it be raised. While campaigning in 2008 Obama declared that it was “unpatriotic” that Bush had increased the national debt at a rate of half a trillion dollars per year; but under Obama the rate of national debt increase has accelerated to almost three times the Bush rate ($6 trillion in new debt in under four years)–yet Obama has never apologized nor declared himself unpatriotic. Obama‘s extremely poor policies and detrimental actions are imploding the economy by way of ObamaCare/ACA, excessive debt, no real jobs growth, lies, dishonesty, and massive taxation. $7 trillion in new national debt under Obama; after he promised to decrease the deficit. Obama has given us all-time record annual gas prices. (when he took office a gallon of gasoline was $1.84/gal. and now it is $3.59/gal. or higher). Obama has given us an all-time record number of food stamp participation and poverty. Obama has given us an all-time high Youth/Teen, Black, and Hispanic unemployment. In 2008, the participation rate for the work force was 66.1%. Last month the rate dropped to 62.8%. That is 3.3 points lower than it was five years ago. If the participation had stayed the same over the past 5 years, the unemployment rate would not be the number that was released of 7.3%. The ‘real’ unemployment rate would be at least 10.2% or possibly even higher. The unemployment rate for black youth in July 2013 was more than 46%. Obama has succeeded in hurting the people who voted and supported him the most: Women, minorities, and the young. Obama has given us an all-time record number of Americans no longer in the labor workforce. Obama has given us an all-time record number of Americans collecting disability insurance. Obama has given us an all-time record number of Americans living in poverty. Obama has given us an all-time record U.S. National Debt. Obama has given us an all-time record average increase in health care and dental premiums for individuals and families. Obama has given us an all-time record increase in average food and gas prices. Obama has given us an all-time record average annual decrease in wages and income per household. Obama has given us Wall Street/Bank bailouts, no ‘real’ banking or financial markets regulation/reform, and Main Street/Jobs destruction. Obama has been raising taxes on everything and has put in no spending cuts. Obama has been killing good full-time jobs in the private sector. Obama has only created low-paying inferior part-time and temporary jobs and other poor government jobs. Obama has been illegally changing laws and bypassing Congress. Obama has removed/purged 197 U.S. Military Officers in five years. Obama has been opening up our borders to illegals, Muslim Brotherhood, and Islamic terrorists. Obama has been arming the Muslim Brotherhood with funds not approved by Congress. Obama has a social security number belonging to another man, from a state he has never lived in. Obama presides over a cut to the credit-rating of the United States of America. Obama violates the War Powers Act of the United States of America. Obama is held in contempt of court for illegally obstructing oil drilling in the Gulf of Mexico. Obama requires all Americans to purchase a product from a third party. Obama spends a trillion dollars on “shovel-ready” jobs when there was no such thing as “shovel-ready” jobs. Obama abrogates bankruptcy law to turn over control of companies to his union supporters. Hillary Clinton covered up Benghazi for Obama and Jarrett. She ignored security requests several times. She intentionally cut security and blamed it on others. She lied about ‘an internet video’. She silenced Benghazi witnesses with threats. She lied to Congress about Benghazi. Valerie Jarrett is running everything in the White House. The omnipresent power behind the throne some have called the president’s Rasputin had the power to call off three strikes against Osama bin Laden, which she did. She also used that power again the night four Americans died in Benghazi. She gave the stand down orders, with respect to Benghazi, while Obama was asleep. Obama’s negligence and dereliction of duty is Treason. Obama and Dianne Feinstein try to violate American’s 2nd Amendment rights by attempting to disarm American citizens. Obama has been hiding and threatening Benghazi witnesses. Obama through the unlawful abuse of power via Executive Orders gives himself the power to kill Americans. Obama changes the laws to allow life imprisonment without trial or hearing. Obama administration manipulates and falsifies the Bureau of Labor Statistics (BLS) jobs data to get re-elected. Obama applies for college aid as a foreign student, and then denies he was a foreigner. Obama by-passes Congress and implements the Dream Act through executive fiat. Obama arbitrarily declares an existing law unconstitutional and refuses to enforce it. Obama files lawsuits against the states he swore an oath to protect (AZ, WI, OH, IN). Obama withdraws an existing coal permit that had been properly issued years ago. Obama hides his medical, educational, and travel records. ObamaCare/ACA–A massive and incredibly convoluted bill which exponentially increases federal government’s control over our personal lives; which neither Obama nor a single Democrat even read before passing, and which will likely bankrupt the nation. ObamaCare/ACA is government and corporate fraud, abuse, tyranny, and corruption against the American people and the United States of America. It will bankrupt the USA. Obama and Harry Reid shut down the government because they refused to admit that ObamaCare/ACA is a disaster and needs to be repealed. And they refused to give the American people the same waivers and special treatment that Obama already gave to big corporations, unions, Congress, special interests, Democrats, and their other campaign donors. Obama handed out over 1,200 waivers to politically connected donors exempting them from the onerous requirements of ObamaCare/ACA. In both the 2008 and 2012 presidential elections, the Obama campaign purposely disabled the credit card verification system for its Web site donations, allowing anyone from any foreign country to donate with no limit and no proof of identity; in both elections it was demonstrated that people overseas and people with obviously false identities were able to donate to Obama campaign, in direct violation of several laws. To this day it is not known what percentage of Obama’s campaign funds are illegally obtained, since there is no documentation. Obama gambles billions of taxpayer dollars on “green” companies like Solyndra, NextEra, Ener1, Solar Trust, Fisker, and many others–all of which went bankrupt. Obama orders a secret amnesty program that stopped the deportation of illegal immigrants across the U.S. including those with criminal convictions. Obama demands a company hand-over $20 billion to one of his political appointees. Obama tells a CEO of a major corporation (Chrysler) to resign. Obama terminates America’s ability to put a man in space. Obama has a law signed by an auto-pen without being present. Unemployment at or above 8% for almost his entire term in office (which was actually closer to 15% actual unemployment). Operation Fast and Furious–a government-sponsored illegal gun-running scheme designed to purposely go awry so as to induce public outcry for gun control. Obama doled out $800 billion in stimulus cash for “shovel-ready” jobs that didn’t exist–the money just evaporated with no measurable economic benefit. Under Obama’s watch, for the first time in history America’s credit rating was downgraded, due to his poor economic policies. Obama stopped American oil drilling in the Gulf of Mexico, allowing other nations with worse environmental records to drill instead — thereby managing to both weaken our economy and damage the environment simultaneously. Obama proposed in 2008 to intentionally bankrupt the coal industry–and now lies to voters and workers in coal-producing regions about his true intent. Obama violated the U.S. Constitution by authorizing assassinations and drone strikes to kill American citizens abroad–without due process. When states voted to enforce the federal immigration laws which the federal government refused to enforced, Obama sued to stop them. Obama blocked continued construction of the Keystone Pipeline, thereby intentionally reducing energy resources for the U.S. and forcing Canada to sell more of its oil to China. When states tried to stop election fraud with voter ID laws, Obama sued to prevent them from doing so. Obama increased the percentage of Americans dependent on food stamps to unprecedented levels (now over 15% of the nation’s population). Obama canceled plans to complete a missile defense shield in Poland, a move which was highly praised by Russia–the very nation whose missile threat would have been neutralized if the shield had been completed. Obama militarily intervened in Libya in 2011 without the Congressional approval required by the War Powers Act–technically an impeachable offense. Obama used taxpayer dollars to bail out the private pension funds of autoworkers’ unions at GM & Chrysler. Obama illegally ended the welfare-to-work requirements passed by Congress. Obama instructed Attorney General Eric Holder to stonewall any investigation into the voter intimidation case against the New Black Panthers. Obama used ObamaCare/ACA as a pretext to greatly increase the size and power of the IRS (which was given 16,000 new agents and additional mandates to penalize taxpayers for noncompliance). Obama used the IRS to harass the Tea Party and conservative businesses. In the GM bailout, Obama illegally shortchanged investors who according to bankruptcy laws were first in line to be recompensed; instead, he gave their share to the unions. By loudly publicizing (for personal political gain) the identity of exact SEAL teams who had killed Osama bin Laden, Obama made them a target for reprisals by Islamic terrorists; a short time later 22 SEALS were shot down and killed in Afghanistan, their worst loss of life ever. More than once Obama made so-called “recess appointments” when the Senate was not actually in recess, which directly violates Constitutional rules about how appointments must be made; in each case it was his way of getting his political allies into certain key positions without them being vetted or approved by the Senate, as required. Obama convened the National Commission on Fiscal Responsibility and Reform (a.k.a. the Simpson-Bowles commission) in order to address a major economic crisis; and then summarily dismissed and ignored their recommendations. Obama criticized the Supreme Court’s legal reasoning (about the Citizen’s United decision) during a State of the Union address, which many considered a dangerous precedent as it appeared to place political pressure on the court, violating the Constitution’s separation of powers; but his bullying seems to have later paid off, when the Supreme Court apparently altered its ObamaCare/ACA decision so as to not ruffle any political feathers. Obama’s $8 billion bribe to the Egyptian president Mohammed Morsi and the Muslim Brotherhood. For decades, every president has attended a “daily intelligence briefing” which updates him on critical world events each morning. Obama has skipped 60% of his daily intelligence briefings, including the ones leading up to the attack in Benghazi. The Iran nuclear deal is great for Iran; but bad for the USA and everyone else in the World. Iran is playing Obama like the dishonest, delusional, and incompetent fool he really is. Iran is the enemy to the USA and the World and cannot be trusted. Obama is setting up the USA and the World for nuclear destruction. Obama cancels the National Day of Prayer and says that America is no longer a Christian nation. Obama threatens insurance companies if they publicly speak out on the reasons for their rate increases. Obama tells a major manufacturing company in which state it is allowed to locate a factory. Obama is actively trying to bankrupt the American Coal Industry. Obama fires an inspector general of AmeriCorps for catching one of his friends in a corruption case. Obama appoints forty-five czars to replace elected officials in his Office. Obama surrounds himself with radical left wing Muslim anarchists. Obama golfs 73 separate times in his first two and a half years in Office, 119 to date. Obama wins a Nobel Peace Prize for doing nothing to earn it. Obama goes on multiple “global apology tours” and concurrent “insult our friends” tours. Obama goes on 17 lavish vacations, including date nights and Wednesday evening White House parties for his friends paid for by the taxpayers. Obama has 27 personal servants (taxpayer funded) for his wife. Obama keeps a dog trainer on retainer for $102,000 a year at taxpayer expense. Obama flies in a personal trainer from Chicago at least once a week at taxpayer expense. Obama repeats the Holy Quran & tell us the early morning call of the Azan (Islamic call to worship) is the most beautiful sound on earth. Obama tells the members of the military that they were unpatriotic for balking at the last suggestion. Obama sides with a foreign nation over one of the American 50 states (Mexico vs. Arizona). Obama spent 20 years listening to a racist anti-American pastor (Rev.Jeremiah Wright), whom Obama described as a mentor. On March 18, 2008, Obama gave a speech in which he said “I could no more disown Jeremiah Wright than I could disown my own grandmother” and “[Wright’s church, Trinity United] embodies the black community in its entirety.” Now Obama tries to pretend that Jeremiah Wright doesn’t exist, and that his extremist anti-white philosophy didn’t influence Obama’s worldview. Before he entered politics, Obama worked as a lawyer suing banks in landmark cases, forcing them to give home loans to unqualified minority borrowers–a practice now understood as one of the primary initial causes of the eventual housing bubble and market collapse. Obama greatly expanded the number of unaccountable “czars,” which essentially amounts to unilaterally adding new federal departments with no congressional oversight–leading to a true “bureaucracy” in the original sense (rule by unelected bureaucrats). Obama alienated and isolated Israel, our strongest ally in the Middle East. Obama apologized to Islamic terrorists for offending them. Obama pretends to be concerned about skyrocketing energy prices, when in fact he vowed to increase them on purpose (so as to make alternative energy schemes more competitive). Cash for Clunkers, which doled out taxpayer money to anyone who wanted to replace their old cars, but which mostly only ended up subsidizing the purchase of foreign-made cars by people who could have afforded them on their own anyway; meanwhile, the traded-in cars were all destroyed, creating a shortage and thereby increasing the cost of used cars, hurting the pocketbooks of poor people. Obama was caught on a “hot mike” promising the President of Russia that he would cave in to their demands for a weaker missile shield–after he was re-elected and no longer had to keep up the pretense that he sought to defend America. Obama appointed Anita Dunn, who said Chairman Mao was her “favorite philosopher,” to be White House Communications Director. Obama appointed John Holdren, who previously entertained the notion of forced mass sterilization to stop overpopulation, to be Science Czar. Obama appointed Steven Chu, who openly advocated an artificial increase in gasoline prices to $10/gallon (and similar increases in other energy prices) to be Secretary of Energy. Obama repeatedly changed his position on gay marriage over the years, depending on what was politically expedient at the moment and which intended audience he was addressing. When giving a 2009 speech in France that he must have assumed Americans would never hear, he described the United States as “arrogant” and “dismissive” (while also criticizing Europe elsewhere in the speech). When he was first running for President, Obama promised, “I will not sign any non-emergency bill without giving the American public an opportunity to review and comment on the White House website for five days.” Needless to say, he has broken that promise with almost every bill he has signed since. Obama aided and abetted the “Arab Spring” which deposed existing secular governments across North Africa, leading to a regional power vacuum which was filled by Al Qaeda, the Muslim Brotherhood, and other hardline Islamic terrorists. Obama refused to provide assistance or support the earlier secular Iranian democracy uprising, allowing them to be crushed by the Islamic fundamentalist Iranian regime. In his first months in office, Obama bowed to the king of Saudi Arabia, the president of China, the Emperor of Japan, and President of Mexico, among others. Obama shut down oil drilling in the US, but then turned around and lent $2 billion to Brazil to support their government-controlled oil-drilling effort–and then promised the U.S. would become one of Brazil’s biggest oil customers, which instead went to China. Obama sued Boeing in an effort to control where businesses could locate, kowtow to the unions, and block the creation of 1,000 jobs in South Carolina, a right-to-work (i.e. no forced unionization) state. Obama promised in 2008 that once elected he would officially recognize the Armenian Genocide; but to this date he has still failed to do so, caving in to threats and pressure from Turkey. Vowed to end the influence of lobbyists in Washington, but under Obama’s watch their influence has only increased. Obama relied on an Islamic fundamentalist militia group called “The Martyrs of the February the 17th Revolution Brigade” to provide security at the American mission in Benghazi– and they not only failed to prevent the attack but perhaps even joined in on it. 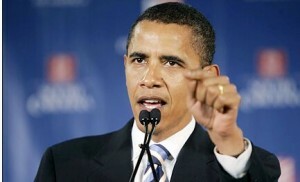 Obama adopted a longstanding Socialist political slogan, “Forward!” as his 2012 campaign motto. Obama sent insulting form letters to the families of dead SEALS. Obama neither disavowed nor distanced himself from anti-Romney campaign ads which threatened or implied violence against Republicans. Shortly after the recent eruption of anti-American violence in North Africa, Obama went to Las Vegas to do his debate preparation in a hotel; with a romanticized North Africa theme. Union boss and far-left activist Andy Stern has visited Obama in the White House at least 53 times, at last count–greater access than any other private citizen. Obama hosted at the White House many Islamist members of groups associated with Hamas, the Muslim Brotherhood, etc. Obama sponsored performances by and attended fundraisers with radical rappers like Michael Franti and Common, both of whose lyrics have in some cases been anti-police, anti-white, and anti-America. Obama hired Timothy Geithner, who is documented as cheating on his own personal taxes, to be Secretary of the Treasury. Obama told small business owners nationwide in a 2012 speech that “you didn’t build that”–implying that they should not claim credit for their own success, since taxpayers (i.e. themselves and other business owners) had funded the national infrastructure. Obama insulted the British people by rudely returning to them a bust of Churchill which previously had been a ceremonial gift on display at the White House; when later confronted on this inexplicable action, he lied about it. Obama established an extra-Constitutional top secret “kill list” of people (including Americans) Obama claims the right to kill on sight, and then bragged about it publicly. Obama set up a special email account, “Flag@Whitehouse.gov,” to which Americans were supposed to inform the government of anyone they heard spreading “disinformation” about Obama’s health care overhaul. (This was the first of three different “spy on your friends and neighbors” programs). “Attack Watch” was Obama’s second Big Brother attempt, a Web site on which you would report “attacks” on Obama’s proposals and ideology; it was quickly shut down due to outrage and mockery. Obama set up the “Truth Team” program which encouraged citizens to report to the government any friends or relatives they hear repeating “lies” about Obama. The Truth Team site still exists. Obama twisted the arms of defense contractors to not issue layoff notices in early November, so as to avoid causing bad news for Obama right before the election–even though federal law (the “WARN Act”) requires such notices. After the attacks on American interests in North Africa on September 11, 2012, Obama gave a speech to the United Nations and declared “The future must not belong to those who slander The Prophet of Islam”–transferring the blame from the attackers onto the makers of a film trailer that supposedly “offended” the Islamists. Obama repeatedly snubbed and got into public tiffs with Benjamin Netanyahu, who as the leader of Israel is supposed to be Obama’s closest colleague in international affairs. On May 19, 2011, Obama told Israel they must return to the 1967 borders as a precondition for continuing talks with the Palestinians–even though the status of the borders was the main issue the talks were supposed to address. Obama encouraged politically biased hiring practices in the Justice Department. Soon after taking office, Obama rescinded the “Mexico City Policy,” which previously had banned NGOs which are supported by American taxpayer funds from using those funds to perform abortions in foreign countries. Obama attempted to force returning veterans to pay huge increases for their health coverage; as a way to generate more funding for his ObamaCare/ACA provisions. In June of 2011, Obama anointed his own underage daughters as “senior staff members” so that their vacation to Africa would be paid for with taxpayer money. Obama played over 100 rounds of golf during his first three years in office, meaning that he was on the links close to 10% of the days he has been President. Obama voted to allow post-birth abortions (i.e. facilitating the deaths of babies who survive late-term abortions) not just once but three times in a row as an Illinois state senator. Obama sided with Hugo Chavez and the Castro regime regarding the Honduran Constitutional Crisis of 2009, the first time ever that the U.S. formed a political alliance with socialist governments in Latin America. Chinese pianist Lang Lang played an offensively anti-American song at a 2011 White House dinner where Obama hosted Chinese president Hu Jintao, to the delight and amazement of the communist Chinese visitors; while Obama just sat there and smiled (the song’s Chinese lyrics describe Americans as “warmongering jackals”). There was a great deal of (still unverified) suspicion that the company LightSquared received favorable treatment from the Obama administration for approval of its broadband technology which interfered with the GPS system; an Air Force general claimed he was pressured by the Obama administration to downplay his criticism of LightSquared’s technology in sworn testimony. Obama’s Department of Energy awarded $529 million to Fisker Automotive to build their Karma hybrid electric cars–even though they are manufactured in Finland, cost over $100,000 each, and tend to explode. When Inspector General Gerald Walpin discovered during a 2009 investigation that one of Obama’s political allies (the mayor of Sacramento) was misusing government funds for personal gain, Obama unceremoniously fired Walpin–even though rooting out fraud was the job description of the Inspector General. Despite the fact that the Falkland Islands have been part of Great Britain since 1833 and that Great Britain is supposed to be our strongest ally, Obama essentially sided with Argentina in its new claim on the Falklands, not only by adopting the Argentine position that their status is open to negotiation, but even by (attempting to) refer to the islands by their Spanish name (Malvinas). On April 27, 2009, Obama’s staff (possibly at his direction) ordered Air Force One to make an unnecessary very low flight over part of Manhattan and the Statue of Liberty, which many residents mistakenly assumed must be a second 9/11 attack in progress; turned out that it was just a stunt to get a photo op of Obama’s plane next to the Statue of Liberty. Obama somehow managed to insert mentions of himself into the official biographies of earlier presidents on the White House Website–even presidents from the 19th century. After public outcry, the narcissistic Obama mentions were quietly removed without comment. In June of 2009, Obama’s Solicitor General (and now Supreme Court Justice) Elena Kagan filed a legal brief to prevent the families of 9/11 victims from appealing their lawsuits against the Saudi royal family for financing the 9/11 attacks. The 2009 National Christmas Tree in the White House was decorated with ornaments depicting Chairman Mao, a drag queen, and a picture of Mount Rushmore that included Obama’s own head next to George Washington’s. Obama administration came up with the bizarre euphemism “man-caused disasters” to describe acts of terrorism–because he wants to downplay terrorism as a significant political issue. For three years in a row Obama‘s official budget proposals to Congress received exactly zero votes– not even a single vote from Democrats. During the debate over ObamaCare/ACA in 2009, Obama bluntly stated that doctors like to perform amputations rather than practice preventive medicine for no other reason than that they make a greater profit from amputations. The American College of Surgeons demanded an apology, which never arrived. Since 2008 the Los Angeles Times has been in possession of a videotape showing Obama honoring and praising anti-Western anti-Israel academic Edward Said, but they have steadfastly refused to release it to this day, for no discernible reason other than their belief it would damage Obama’s reputation. Obama compelled Catholic and other religious organizations to provide health plans with free contraception, even though such requirements violate their rights of religious freedom and conscience. It was revealed only after Obama became president that during the 1990s he was a leading member of the “New Party,” a socialist-aligned far-left radical group in Chicago. Obama lied about his close associations with former Weather Underground terrorist Bill Ayers; pretended the two barely knew each other, when multiple sources document they were friends and close colleagues for years. When Obama was inaugurated as President on January 20, 2009, he at first flubbed the oath of office, so he had to re-take it behind closed doors for his inauguration to be valid. He did so, but during this second, true inauguration in private, he purposely failed to place his hand on a Bible, as is traditional–the first president ever to not swear the oath of office on the Bible. Obama’s own author bio in his literary agent’s catalog and on their Web site stated for 17 consecutive years that he was born in Kenya; this claim remained intact despite other portions of the bio being altered and updated repeatedly. It was only in 2007 after he decided to run for the presidency that the “born in Kenya” claim was taken down. The original info must necessarily have come from Obama himself; some theorize he likely falsely claimed foreign birth in order to gain admission or scholarships in college, and never bothered to fix his lie. After winning the 2008 election but before being sworn in, Obama bombastically concocted the official-seeming “Office of the President-Elect” as if it was some kind of real government department; in fact, it was just a self-congratulatory title he made up to look important before he actually became President. When the Organization for Security and Co-operation in Europe recently held a conference on human rights, Obama sent an American representative–Salam al-Marayati, a Truther who blamed Israel for the 9/11 attacks and who also praises Hezbollah and Hamas. To the nations of Europe, al-Marayati spoke for all Americans on the topic of human rights. Obama’s Department of Homeland Security specifically warned that Americans who are “dedicated to a single issue, such as opposition to abortion or immigration” are potential terrorists, as are libertarian-minded voters who “favor of state or local authority” over centralized power. These “rightwing extremists” (who hold political beliefs shared by a majority of Americans) are deemed a greater threat to the nation than actual revolutionaries or Jihadists. 18 U.S.C. Section 1. “Whenever a judge acts where he/she does not have jurisdiction to act, the judge is engaged in an act or acts of treason.” U.S. v. Will, 449 U.S. 200, 216, 101 S.Ct. 471, 66 .Ed.2d 392, 406 (1980); Cohens v. Virginia, 19 U.S. (6 Wheat) 264, 404, 5 L.Ed 257 (1821)“Any judge or attorney who does not report such judges for treason as required by law may themselves be guilty of misprison of treason,” 18 U.S.C. Section 2382. His Bureau of Alcohol, Tobacco, and Firearms, part of the U.S. Treasury Department, delivered a large number of weapons to known Mexican drug gangs, resulting in the deaths of more than 200 U.S. Citizens under the program “Fast and Furious”. He made multiple attempts to force the bankruptcy of this nation’s energy suppliers, and he made multiple public statements that bankrupting our coal companies was his explicit goal. This is economic terrorism committed by someone who has an affirmative Constitutional duty to find and stop all forms of terrorism. He has weakened our country’s missile defense system, which protects us against a missile attack from hostile nations and from hostile terrorist organizations like al-Queda. He refused to allow us to retrieve or destroy a drone aircraft that was one of the top five state-of-the-art military technologies. Here’s an Austrailian news story that also says that the President refused to protect the security of our military technology. As a result of the capture, Iran and it’s allies will have significant intelligence information. A link to a similar story in the Los Angeles Times. He ordered the military to follow the commands of the United Nations. The President ordered Immigration and Customs Enforcement not to deport anybody who didn’t fit their criteria. Because of this breach of our national security, millions of people are coming here illegally, not being arrested, not being put in jail, and not being deported. A veteran Immigration and Customs Enforcement agent is facing suspension after he refused to release an illegal immigrant who was not considered a priority target under the Obama Administration’s new immigration enforcement policies, according to documents provided exclusively to Fox News. On March 27 he and another officer were conducting surveillance on a vehicle in Newark, Del. with plates that were registered to a criminal alien target. During the surveillance, they observed an individual get into the vehicle. The person was detained, questioned and taken to an ICE office so that his fingerprints could be run through a federal database. This is a link to a similar story on the website for “Californians for Population stabilization”. This is a link to a similar story on the website for “American Renaissance”. U.S. Senator Jeff Sessions (R-AL) put a news release on his official website dated August 3 demanding an explanation from the Director of Immigration and Customs Enforcement as to why they would give a three-day suspension to an ICE agent for doing his job. He is trying to force Catholics who work in hospitals to perform abortions. Note 1: Regardless of your own beliefs about the ethics of abortion, Catholics have a Constitutionally guaranteed right to have their own beliefs and to practice their own religion. Note 2: With his hand on a Bible, he swore to “support and defend the United States Constitution” on the day he took office. An order from the U.S. Army Chief of Chaplains, later rescinded, that prohibited military chaplains from reading a letter in their pulpits. The letter was addressed to all Catholics and written by Catholic Archbishop Timothy Broglio. The President is the Commander-in-Chief and has command over everybody in the U.S. Army, including the Chief of Chaplains. Policy Memo 10-015, dated September 14, 2011, from Col. Callahan, Commander of the Walter Reed Medical Center, which prohibited any visitor to a patient’s room from bringing a Bible or any religious article (such as a cross or rosary beads) with him. President Obama, as the Commander-in-Chief, has decided to court-martial any U.S. serviceman who talks about his Christian faith. In 2010, Barak Obama gave the National Aeronautics and Space Administration (NASA) a very unusual mission. He told them to reach out to the Muslim world.This is a clear violation of the first amendment to the United States Constitution. Congress is explicitly prohibited from trying to pass a law that makes Islam, or any other religion for that matter, the national religion. Individual Americans have the Constitutionally-guaranteed right to practice their own individual religion within the limits that the U.S. Supreme Court establishes.The Supreme Court hasn’t put many restrictions on the practice of religion, either. In fact, many challenges to unusual religious practices have been denied by the court over the years, resulting in people having a lot of freedom to worship in their own unusual ways. Despite the many prohibitions on Christians who are serving this nation in the U.S. military, the U.S. Air Force is recruiting military chaplains from the Muslim Brotherhood. These are the first two paragraphs of an article published on April 28, 2013 by The Clarion Project. The links are theirs. The U.S. Air Force has confirmed to The Clarion Project that it paid nearly $5,000 for advertisements in the magazine of the Islamic Society of North America (ISNA), an unindicted co-conspirator in a terrorism-financing trial that was also labeled a U.S. Muslim Brotherhood entity by the government. The Air Force said it would continue to consider paying ISNA for ads. An advertisement for the U.S. Air Force Chaplain Corps is in the March-April issue of Islamic Horizons, ISNA’s magazine. ClarionProject.org asked the Air Force about the advertisement and included facts about ISNA. Here are the first four paragraphs of an article published April 25, 2013 by the Daily Caller. All of the links were in the original article. The Department of Agriculture, via the Mexican government, assures potentially ineligible immigrants that they can still apply for food stamps on behalf of their eligible children without giving information about their immigration status, according to documents released Thursday by Judicial Watch. The Daily Caller has reported extensively about the USDA/Mexico partnership that seeks to promote taxpayer-funded nutrition assistance among eligible Mexican Americans, Mexican nationals and migrant communities in America. From June 21-27, 2011, a group of 21 people, including Michelle Obama, her two daughters, her staff, and their Secret Service escorts, flew on a converted Boeing 757 on a private vacation trip to South Africa and Botswana. President Obama did not go on this trip. It was a private vacation trip for his wife and their two daughters. The cost of the airplane, fuel, and the Air Force crew alone was over $400,000, and that doesn’t include any of the costs of ground transportation, lodging, food, or their security after they arrived. Judicial Watch asked for the documentation of this trip but the documents were not released until they filed a lawsuit against the Air Force. Judicial watch eventually did obtain the passenger manifest and other documents. It showed that Malia and Sasha were falsely listed on the passenger manifest as “senior staffers”. Malia, the older of the two daughters, turned 14 this year. The Judicial Watch website, linked above, has a link to a PDF of the actual passenger manifest and the expense report, so you can read it for yourself. The U.S. Treasury was later sent a bill for the trip. The Treasury should never have paid for this trip. It was a private family vacation for his wife and their two daughters, not official Presidential business. The invoice that the Obama family sent to the Treasury contained false information, and this, plus his monetary gain (avoiding having to pay for the trip himself) constitutes FRAUD under Title 18, Section 47 of he U.S. Code.The President could even be prosecuted under the Federal larceny statute, which is 18 U.S.C. 641. When he sent an invoice to the U.S. Treasury, and when he ordered the Treasury to pay the invoice, he was illegally taking more than $400,000 that belonged to the United States. Stealing money from the people you’re supposed to govern is something that dictators often do. In March 2009, the Federal Communications Commission (FCC) decided to publish, in the Federal Register, the official source for all Federal Regulations, a “proposed rule” concerning the internet. Here’s a statement from the FCC Chairman on the subject. Here’s an October 23, 2009 article in the National Law Journal discussing the proposed rule.On April 6, 2010, the Federal Appeals Court for the District of Columbia Circuit decided a case titled Comcast Corporation vs. The Federal Communications Commission. The three-judge court rendered a unanimous decision against the FCC. Here’s the text of the 36-page Appeals Court decision, in PDF format. This is an NBC news story about the decision.In May 2010, the FCC ignored the court order and decided to regulate internet access anyway. Here’s the Wall Street Journal story about it, dated May 5th. Here’s a similar story in an online technology-focused journal called Electronista.In December 2010, the FCC voted to approve rules for the internet. Their grounds were a different law than the one they relied on when they tried to regulate Comcast. Here’s the final rule, as published in Regulations.gov. A PDF version is available on that web page Here’s a story about the FCC decision in Wired Magazine. The FCC’s “grounds” don’t affect their legal standing in terms of the court order. If they take any action that is prohibited by the court order, they’re in violation of it.On January 20, 2011, Verizon filed a lawsuit against the FCC to force them to stop their “net neutrality” rule. Here’s a story in the Washington Post. Here’s a similar story in the Seattle Times.In April 2011, the U.S. House of Representatives voted to repeal the FCC regulation regarding internet access. Here’s the Fox News story. Here’s a similar story from the Reuters News Service.On September 28, 2011, Verizon filed a lawsuit against the FCC. The Free Press also filed their own lawsuit, based on the rule that had recently been published in the Federal Register.On July 31, 2012, Verizon settled with the FCC’s Enforcement Bureau and signed a Consent Decree. Here’s the FCC announcement, in PDF format. Under the terms of the settlement, Verizon agreed to pay $1.25 million for violating the terms of a purchase of part of the broadcast spectrum called the “C Block”. Note: individuals and companies that sign such agreements do not admit fault or guilt. They simply agree to take specific actions, possibly including the payment of a fine, and in return, the other party, typically a regulator, agrees to halt any further investigation of the individual or company. Despite the fact that one company signed their Consent Decree, the FCC still violated the Order of the Federal Appeals Court, by doing something that the court told them unanimously that they could not do. Barak Obama, as the head of every Executive Branch agency, is responsible for this violation. The use of Executive Orders to make laws. Under our Constitution, which he swore to support and defend when he took office, laws are made by the House and the Senate, not by the President. Secretary of Defense Leon Panetta told a Senate Armed Services Committee congressional hearing on March 7, 2012 that he could order the military to engage the military forces of other countries if he received the permission of the United Nations, even if he didn’t have the permission of the U.S. Congress. X. Contempt of the United States Supreme Court, which oversees all other Federal Courts. A Federal Judge ruled on February 3, 2011 that the Obama Administration acted in contempt of an outstanding court order. The President ordered the Federal Communications Commission to adopt regulations in December 2010 that are in direct violation of an April 2010 Federal Appeals Court decision regarding internet access. filed a lawsuit against Boeing (later dropped at the request of the union). Note: Boeing issued a blanket denial of every NLRB allegation and asked a Federal Judge to dismiss the suit, but the judge ordered the case to proceed. A former NLRB Chairman, appointed by President Clinton, said that the suit should never have been filed. The lawsuit was a violation of the impartiality that is required of an agency that should be mediating management-labor disputes. UNKNOWN: How many exact other violations of Obama’s Oath of Office. Okay, I guess the time has come for someone to do this and since it is not happening in the Congress, We the People may as well get it done! To be truthful I have not been a fan of impeachment because I do believe it is never good for the nation and should be avoided if at all possible. I’ve also never been crazy about the though of Uncle Joe taking command, but for as silly and ignorant as he may be, I do believe old Uncle Joe at least shares a love for country… A belief in America and her greatness that Obama does NOT! It has become increasing clear that Obama has done nothing to benefit America and as he nears closer to 2016, he seems to be increasingly taking actions that are clearly to the detriment of this great country. I am not an attorney, but why let that get in my way, this president is destroying our country and has lied to us, lied to and betrayed our allies, and committed treason. ARTICLES OF IMPEACHMENT EXHIBITED BY THE HOUSE OF REPRESENTATIVES OF THE UNITED STATES OF AMERICA IN THE NAME OF ITSELF AND ALL OF THE PEOPLE OF THE UNITED STATES OF AMERICA, AGAINST BARACK HUSSEIN OBAMA, A/K/A BARRY SOETORO, PRESIDENT OF THE UNITED STATES OF AMERICA, IN MAINTENANCE AND SUPPORT OF ITS IMPEACHMENT AGAINST HIM FOR HIGH CRIMES AND MISDEMEANORS. In his conduct while President of the United States of America, Barack Hussein Obama, a/k/a Barry Soetoro, in violation of his Constitutional Oath to faithfully execute the Office of President of the United States of America and, to the best of his ability, preserve, protect, and defend the Constitution of the United States of America, and in violation of his Constitutional duty to take care that the laws be faithfully executed, has knowingly and willfully corrupted and manipulated the Executive Branch to increase its power and destroy the balance of powers between the three branches of government that is established by the Constitution of the United States of America. After being sworn in for his first term as President of the United States of America, Barack Hussein Obama, a/k/a Barry Soetoro began creating new departments within the federal government and appointing Czars to oversee those departments. The President never submitted these Czars to the United States Senate for approval as required by Article 2, Section 2 of the Constitution. Additionally, the Czars and new Departments have budgets that are not subject to being controlled by the Congress as provided for by Article 1, Section 8 of the Constitution. President Obama also made recess appointments when the Senate was not in recess that the Supreme Court determined were invalid. A.) He ordered the Environmental Protection Agency to implement portions of the Cap & Trade Bill that failed to pass in the United States Senate. B.) He ordered the implementation of portions of the Dream Act that failed to pass in Congress. C.) He ordered the surreptitious transport of illegal immigrants who crossed our Southern Border illegally into communities around the nation without informing the American people or their duly elected federal, state, or local representatives. E.) He Orchestrated a governmental takeover of a major part of the automobile industry in 2009. F.) He ordered a moratorium on new offshore oil and gas exploration without approval of Congress. G.) He signed an Executive Order on March 16, 2012 giving himself and the Executive Branch extraordinary powers to control and allocate resources such as food, water, energy and health care resources in the interest of vaguely defined national defense issues. It would amount to a complete takeover of the American economy. H.) He signed an Executive Order on July 06, 2012 giving himself and the Executive Branch the power to control all methods of communications in the United States based on a Presidential Deceleration of a National Emergency. I.) He signed an Executive Order on January 06, 2013 that contained 23 actions designed to limit the individual Right to Keep and Bear Arms guaranteed by the Second Amendment. J.) He amended portions of the Affordable Healthcare Act and other laws passed by Congress without Congressional approval as required by Article 1 of the United States Constitution. K.) He signed Executive Orders in January 2014, amending the HIPPA law to allow confidential medical records to be turned over to federal agencies, if they contain information that would prohibit them from purchasing firearms. L.) He had the Environmental Protection Agency impose regulations that forced many utility companies and coal mines out of business, costing the American economy thousands of jobs and dramatically increasing the cost of energy to the public without Congressional approval. M.) He removed the work requirement from welfare reform legislation without Congressional approval. A.) Use of Executive Privilege to block Congress from getting documents related to the Department of Justice Fast and Furious operation and the death of United States Border Patrol Agent Brian Terry. B.) He instructed members of his Administration to provide false information about the act of terrorism committed against the United States Consulate in Benghazi, Libya on September 11, 2012 and refused to allow the Department of State and other federal agencies to cooperate in the Congressional Investigation. C.) He falsely labeled the terrorist attack on America Soldier’s at Fort Hood, Texas as workplace violence, refusing to acknowledge it was an act of Islamic Terrorism, thus depriving those Soldier’s who were injured the appropriate medical care and benefits they were entitled. E.) He has refused to order an investigation into the actions of Attorney’s General Eric Holder and the Department of Justice in targeting the phone records of members of the news media. F.) He told the American people on television that the National Security Agency was not collecting email and phone calls of the American people when the facts have proven otherwise. G.) He repeatedly told the American people, “if you like your doctor, you can keep your doctor” when promoting the Affordable Healthcare Act knowing that was a lie. A.) Requiring the Department of Health and Human Services to order religious institutions and businesses owned by religious families to provide their employees free contraception and other services that are contrary to their closely held religious beliefs. This is being done under the guise of The Affordable Healthcare Act and violates the religious freedom clause of the First Amendment. B.) Requiring the military to place restrictions on the freedom of speech of members of the military, as well as the civilian employees of the Department of Defense in violation of their First Amendment rights. C.) Requiring the military to place restrictions on the religious freedom of Chaplains and other members of the military, in order to favor gay rights advocates and atheist in violation of the First Amendment. D.) He has used Executive Orders and instructed government agencies to limit Second Amendment Rights. This includes the Veterans Administration disarming American Veterans without due process of law as required by the Fifth Amendment. E.) Having the National Security Agency intercept and monitor the private communications of millions of Americans without a court order in violation of the Fourth Amendment. F.) He has joined with foreign governments in lawsuits against sovereign United States to prohibit them from enforcing immigration laws in violation of the Tenth Amendment. G.) He has filed suits under the Voting Rights Act against sovereign United States to prevent them from enforcing Voter Identification laws despite rulings by the Supreme Court upholding those laws in violation of the Tenth Amendment and the balance of powers. H.) He has had the Federal Communications Commission prepare new rules on internet neutrality in violation of the ruling by the United States Supreme Court striking down such regulations. I.) He tried to have the Federal Communications Commission prepare a plan to place agents in newsrooms of radio and television stations to ensure they distribute the proper news content to the public. This would be a direct violation of the First Amendment. J.) He instructed the Secretary of State to sign the United Nations Small Arms Treaty despite the opposition of the majority of the United States Senate, with full knowledge that the implementation of the Treaty would violate the Second Amendment rights of American Citizens. A.) He has imposed unnecessary and dangerous Rules of Engagement on our combat troops causing them to lose offensive and defensive capabilities that put them in danger. American service men and women have been killed or wounded as a result. B.) He has released the identity of American military personnel and units engaged in dangerous and secret operations such as the killing of Osama bin Laden by the United States Navy SEAL Team Six. C.) He has reduced the size of our military manpower to its smallest since before World War Two, while global conflict and threats to our national security continue to grow. D.) He has sent “Pink Slips” or letters of termination to our fighting men deployed in a combat zone, destroying morale on the battlefield. E.) Article 1, Section 8 of the United States Constitution gives Congress the exclusive power to declare war, yet without consulting Congress, President Obama ordered the American military into action in Libya. F.) He instructed the Attorney’s General to tell Secretaries of State that they do not need to comply with the Federal Law requiring States to send absentee ballots to military personnel on a timely basis. Article 2, Section 2 of the Constitution establishes the President as the Commander-in-Chief of the United States Military. He is required to use his power and authority to oversee the proper use of the military to properly protect and defend the people and territory of the United States against all enemies, foreign and domestic. He is further responsible for using the United States Military in a manner that is effective and to protect members of the military and to take proper care of veterans. A.) In 2009 he was advised of problems with the Veterans Administration involving the treatment and care of Veterans, yet took no action to improve the situation. Instead, he ordered the Veterans Administration to spend a major part of its annual budget on Green Energy projects at Veteran Hospital facilities instead of Veteran Care. B.) He endangered the lives of members of the United States Armed Forces and American civilians by negotiating with terrorist and trading five high level Taliban leaders for one American Soldier who deserted his post abandoning his fellow Soldiers. He did so in violation of Federal Law by not providing members of the United States Congress of his intent thirty days in advance of the exchange. C.) He refuses to enforce Immigration Laws passed by Congress in Violation of Article 2, Section 3 of the United States Constitution and has signed unconstitutional Executive Orders to grant amnesty, or de-facto amnesty to illegal aliens currently in the United States. D.) He has deliberately destroyed the morale and effectiveness of the United States Border Patrol Agents by interfering with their attempts to execute their oaths of office and enforce laws legally passed by the United States Congress. E.) He has taken deliberate actions to encourage parents of thousands of children in Central America to send their children, often unaccompanied by adults, to cross the United States Border. He then asked for billions of taxpayer dollars to care for these children. F.) He ordered the United States Border Patrol and Department of Homeland Security to place thousands of children on buses or planes and dumped them in communities around the country without any prior notification to the local officials. G.) He has allowed the Transportation Security Administration to let these children, many known gang members, to fly U.S. Airlines at taxpayer expense without proper identification as required by Federal Law. H.) He has refused to respond to lawful request by Governors of the Southern Border States to close the Southern Border to any further illegal immigration and has placed a severe financial burden on these Border States in order to advance his own political agenda. I.) He has ordered the release of thousands of illegal aliens who have been convicted of serious crimes in the United States and allowed them to remain in the country after serving their sentences. This violates Federal Law requiring such people to be immediately deported. J.) He ordered the release of approximately 68,000 criminals in Federal Prisons who were convicted of drug offenses. This endangered the lives and property of honest law-abiding American citizens the President is legally and Constitutionally required to protect. K.) He authorized the Internal Revenue Service, the Department of Health and Human Services, The Bureau of Alcohol, Tobacco, and Firearms, The Department of Homeland Security, and The Environmental Protection Agency to propose new regulations not authorized by Congress that will adversely affect the rights of Americans protected by the First, Second, Fourth, and Fifth Amendments to the United States Constitution. In all of this, Barack Hussein Obama, a/k/a Barry Soetoro has undermined the integrity of his office, has brought disrepute on the Presidency, has betrayed his trust as President and has acted in a manner subversive of the rule of law and justice, to the manifest injury of the people of the United States. Wherefore, Barack Hussein Obama, a/k/a Barry Soetoro, by such conduct, warrants impeachment, trial, and removal from office and disqualification to hold and enjoy any office of honor, trust, or profit under the United States. Peter Paton is an International PR and Strategic Adviser. December 25, 2015 in Uncategorized.